My wife’s hockey team is in the midst of their playoffs. I was banned from taking pictures from the bench when they introduced a rule requiring everyone on the bench to have a helmet, though in all the games I’ve been to this rule is randomly enforce. Regardless, I was left to shooting through heavily marked glass and more recently, a “fog” that is on the inside making photography more challenging than I wish for. With the season coming to a rapid conclusion, I decided to “hang” around the benches and start to “creep” into the door at the rear, giving me a fairly clean look at centre ice and one end. I would then travel between the two benches to get the different ends of the ice. I’m pleased to say I got away with it. This time. Back in my digital darkroom, I started “playing” with some of the filters in Color Effects by NIK Software. I started to get an interesting look. 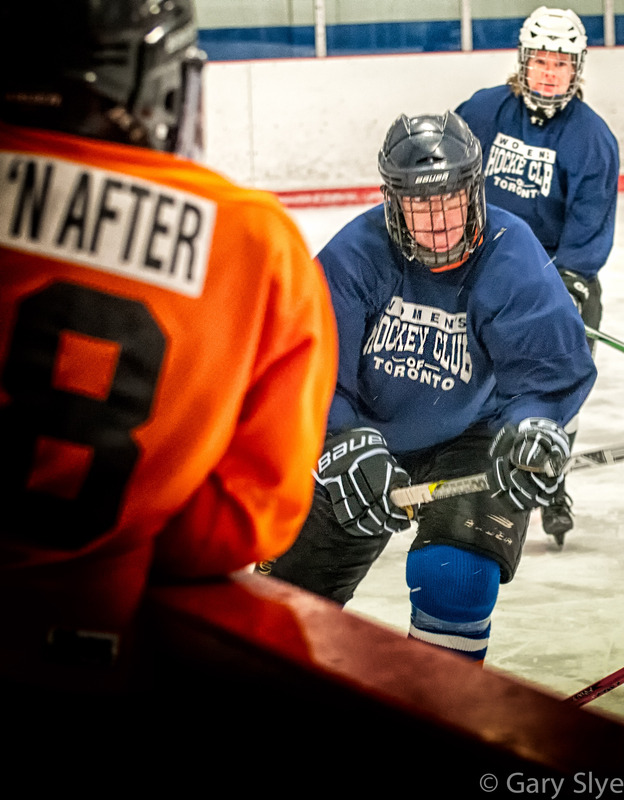 Sort of a watercolour with an old-style hockey feel to it. There is a “detail” filter I use and combine it with some vinetting (light and dark) to enhance the subject. I like the look. It’s a little different for an action shot. 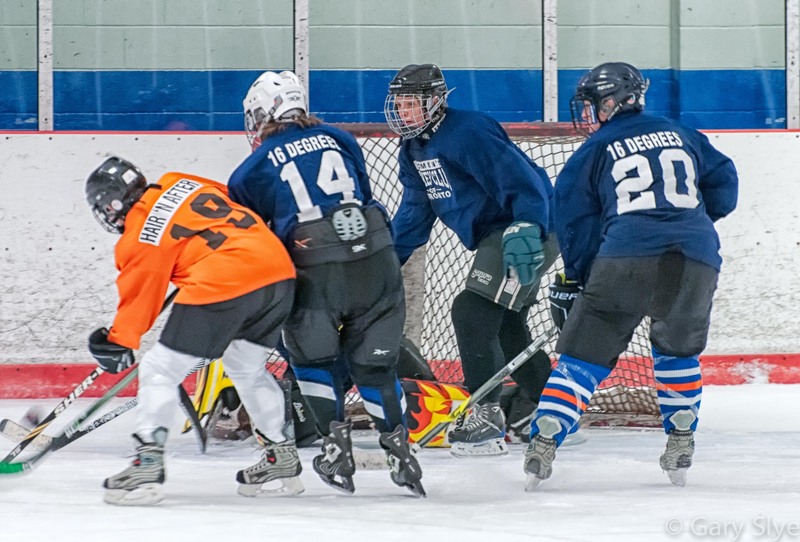 As an experiment, I even took a rapid set of photographs while the players were “still” for a faceoff to try an HDR. 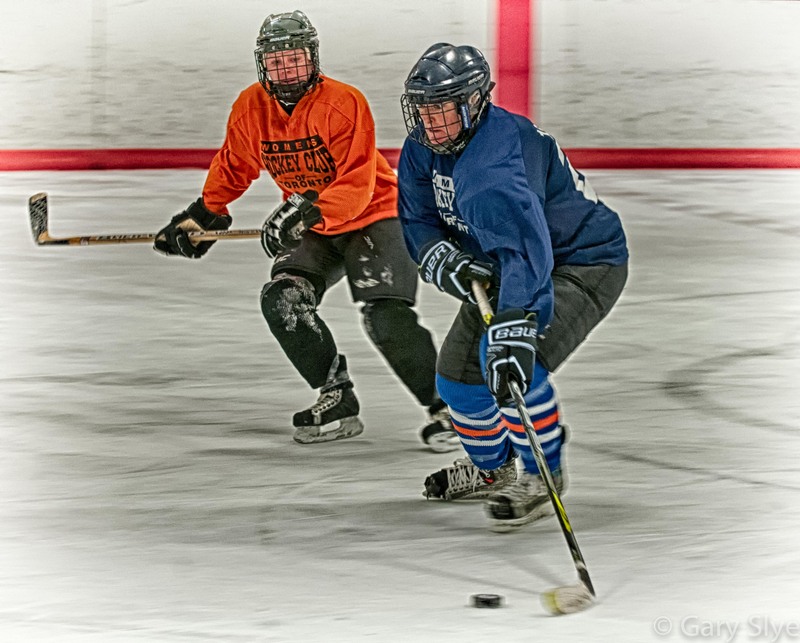 The state of alignment with HDR software these days gave me a pretty good image, though getting ready for a faceoff isn’t my idea of a captivating image. Still, I can keep an eye out. 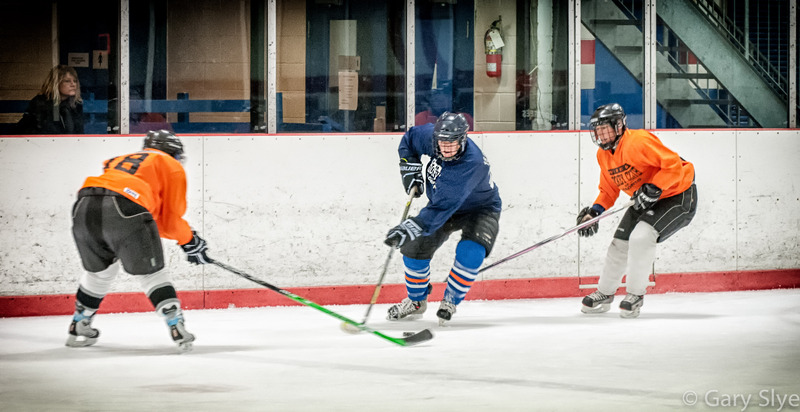 At the rink, I shoot on a D300s (crop sensor) using a 70-300mm at f5.6 in manual. The lighting is fairly even across the rink but I shoot in manual so the exposure doesn’t vary as the amount of white ice in the picture increases or decreases. The ISO is 1600 and I use NIK Define to reduce the noise before I run it through any of the creative filters. I would appreciate any comments you have on the photographs and if interested, can provide more specific information about the steps I took and the filters I used. This entry was posted in Art Photography, Event Photography, Low Light, Sports Photography and tagged event photography, filters, Hockey, low light photography, NIK Software, Nikon D300S, photography, special effects, sports photography. Bookmark the permalink. Thanks. It’s a little more than just applying the one filter. The contrast goes flat and the grain pops out. Starting at ISO 1600 doesn’t leave you too much room to play, but the noise reduction helps. 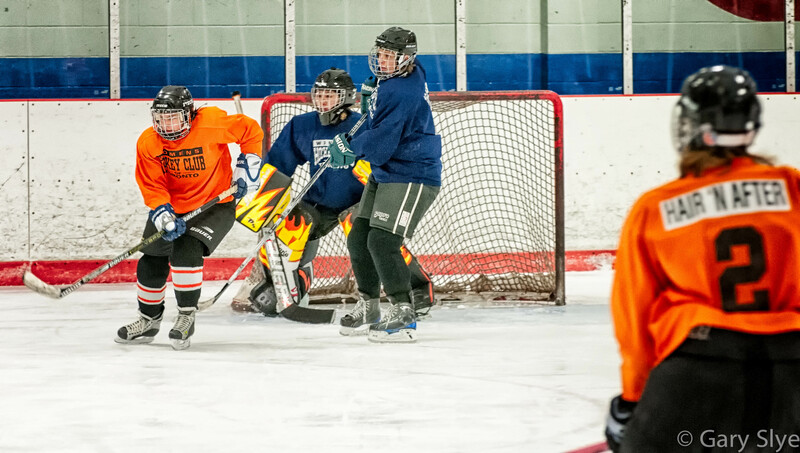 It’s an annoying rule right up to the point the puck hits you in the side of the head…..